Posted on Thursday, October 08, 2015 by "T". We are very happy to introduce our latest No Deposit Casino partner - BlingCity Casino! BlingCity Casino was established in 2014 and they offer a great casino product with more than 100 web browser games from NetEntertainment - No Download is required! Live Dealer Just Got Better + Free Bonus! Posted on Friday, September 04, 2015 by "M". As more and more players are enjoying online casinos nowadays, the Casino-Player interaction has modernized to a digital, online experience with more and more casino games being closer to video games than the real-feel of a land based casino. Read more » Live Dealer Just Got Better + Free Bonus! CasinoCruise: Mr. Gustavsson is the latest luxury cruise winner! Posted on Thursday, October 01, 2015 by "M". CasinoCruise announced on August 27, 2015 that Mr. Gustavsson is the latest winner of the very popular promotion Win A Dream Cruise Vacation. Mr. Gustavsson will enjoy a 10-day luxuary cruise that will take him to Italy, Greece and Turkey. Upon receiving the fantastic news Mr. Gustavsson was was ecstatic: "I cannot believe it, is this really true? I never thought that I will win the cruise. This is really great news." The Win A Dream Cruise Vacation offer is one of the featured promotions at CasinoCruise. Players will receive a ticket to the draw with every $50 deposited on site. The promotional period began at 00:01 (GMT) on 1st August 2015 and runs to 23:59 (GMT) 30th September 2015. 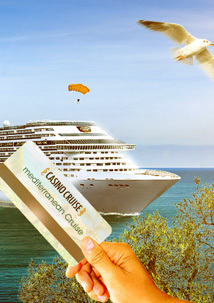 The destinations typically change from one draw to the next, but CasinoCruise ensures that only premium-quality vacation destinations are selected. Click here and find out more and claim our exclusive No Deposit Bonus of 55 Free Spins at CasinoCruise! This offer is NOT available for players residing in Turkey, Romania, Lithuania, Belarus, Latvia, Czech Republic, Hungary, China, Bulgaria, Poland, United States of America and its territories and Ukraine. Read more » CasinoCruise: Mr. Gustavsson is the latest luxury cruise winner! New Casino Partner: $10 Free at RealDealBet! Posted on Wednesday, June 10, 2015 by "M". Welcome to RealDealBet, a site made by champions for champions! Step into the ring and witness the winning punches of Evander Holyfield that can guarantee you a lot of fun, fortune and gaming entertainment when you play at Real Deal Bet casino! If you are a fan of the famous boxer Champion Evander Holyfield, the only 5-time heavyweight champion of the world, a.k.a. “The Real Deal”, then you will definitely love playing at Real Deal Bet casino because Evander Holyfield has teamed up with them! This new online sports and casino site pays tribute to the champ’s nickname, so all those who are avid fans of Holyfield will quickly associate the site’s name to their favorite pro boxer. Read more » New Casino Partner: $10 Free at RealDealBet! Posted on Monday, May 18, 2015 by "M". Betrally Casino is an online casino and sports betting site that offers players an award-winning gaming experience thanks to a wide variety of casino games and sports betting opportunities by the industry’s leading providers, as well as generous promotions. Betrally Casino requires no downloads, so you can get start playing as soon as you open your online casino account. Posted on Friday, January 23, 2015 by "M". When you are thinking of an online casino the first thing that should come to mind is trust and a solid reputation. Omni Casino is at the top of the list when it comes to trust and reputation. They have been in the business for 17 years. And in the online casino business they are the ones with the solid reputation. And let's face it reputation is gold in the casino industry. Grand Fortune Online Casino: 100 Free spins - No Deposit Required! Posted on Tuesday, November 04, 2014 by "M". Grand Fortune Online Casino: Your World-Class Gaming Destination! Grand Fortune Online Casino has a special New Game promotion for BankrollMob players right now! Don’t miss out on our Voodoo Magic offer of 100 FREE SPINS and 200% up to $8000. Sizzling online casino games, bankroll-boosting bonuses and huge jackpots give Grand Fortune Online Casino that extra edge, delivering a sensational gaming experience from the very first click. Read more » Grand Fortune Online Casino: 100 Free spins - No Deposit Required! Posted on Thursday, August 14, 2014 by "M". Vegas Crest Casino is home to the very best in online casino fun, offering a huge selection of over 150 of the latest casino games from incredible progressive jackpot slots that currently total over $£€313,000 to Video poker and Table games. All games are flash based and let you play instantly without the need to download. All BankrollMob readers receive an exclusive $£€7 lucky chip to start playing straight away when they sign up for a new account. Registration is simple and straightforward and they welcome players from the US, United Kingdom and Europe. Exclusive Offers from ClubWorld Casino – $30 Free Chip and much more! Posted on Friday, July 11, 2014 by "M". Players at the multi award winning and trusted ClubWorld Casino can expect the best treatment from their 24/7 customer support and the best offers to help you play for longer and win even more. ClubWorld is powered by RealTime Gaming and is open to players from the US. It offers a huge suite of real series video slots as well as the usual favourite table games and video poker. With easy ways to deposit and fast cashouts, you will not fail to be impressed with the professional ClubWorld casino. In association with the BankrollMob, ClubWorld is offering new players an exclusive deal package including a fantastic $30 free chip, no deposit is required and it’s instantly added to your account upon redeeming our exclusive coupon code. New players will get $30 added to their account, no deposit is required. Try before you buy with this exclusive offer. This offer replaces the standard offer on their site. Bypass the bonus popup and head straight to the cashier to claim this fantastic first deposit offer and get a massive 120% bonus and get up to $777 free! 20 Free Spins on Football Frenzy! Claim this code and when you deposit $25 or more, you will be credited with 20 spins free on the latest game to launch on ClubWorld, Football Frenzy. Download or Instant play, ClubWorld casino is the perfect place to play. For even more offers, check out their daily and weekly promotions. This bonus is NOT available for players residing in the Netherlands Antilles, Costa Rica, Israel, France, Belarus, Bulgaria, Poland, Romania, Russian Federation, Serbia and Ukraine. New Casino No Deposit Bonus: €10 Free at 10Bet Casino! Posted on Thursday, June 26, 2014 by "M". At 10Bet Casino, where you can find a collection of the industry's leading casino games from top developers such as Microgaming. The site offers no-download casino play featuring slots, classic card and table games, and a top notch live casino. Special bonuses and promotions also run on a regular basis and the site is a popular choice with 10Bet sports punters. New members get €1,010 welcome package starting with 125% up to €250 on their first deposit (Promocode: NEWCASINO). 10Bet has a good selection of payment methods available including credit and debit cards, Skrill, Neteller, Ukash, 1-Pay, Web Money, Paysafecard, ECO, cheque and bank transfer. There are no fees for depositing at 10Bet. Withdrawals can be made to most of the deposit methods and a small fee is charged. 10Bet offers betting in 15 currencies, appealing to its global base of customers. Help is available on a 24/7 basis via phone, email and live chat, the latter of which is great for getting instant answers to pressing queries. The website itself is also a great place to get help on everything from making your first deposit to making a withdrawal. Click here and get a €10 No Deposit Bonus from 10Bet Casino! This bonus is ONLY available for players residing in Australia, Canada, Germany, Sweden and Netherlands. Posted on Monday, June 16, 2014 by "M". CanadianDollarbingo.com has been around since 2005 and is one of the oldest online bingos. It was set up for the Canadian bingo players enjoyment, but grew in popularity internationally thanks to its friendly atmosphere, great bingo community, excellent prizes and exciting promotions and tournaments. CanadianDollarBingo.com is part of TheBingoAffiliates.com network and hence benefits from the generous bonuses that this network is well known for. Read more » CanadianDollarBingo: $20 Free! GoWild Casino: win a World Cup Final Package for you and a friend! Posted on Friday, May 09, 2014 by "M". As the countdown has begun to the greatest sporting event on the planet ever, GoWild Casino has announced their new promotion where you (and a friend) can win a prize package to the final of the World Cup in Brazil! Click here and get 20 Freespins on Football Star Online Slot - No Deposit required! The wagering req is x35 for the spins and the eligible countries for the no deposit offer are: Australia, New Zeeland, Canada, Germany, Switzerland, Netherlands, Sweden, Finland, Norway, UK, Greenland, Iceland, Ireland, Japan, Lichtenstein, Luxemburg. Read more » GoWild Casino: win a World Cup Final Package for you and a friend! Rich Casino: $35 NDB + 400% up to $4,000! Posted on Monday, March 31, 2014 by "M". Rich Casino is one of the most popular and well-reputed online casino platforms in the industry, providing its loyal and widespread clientele with a complex variety of casino games, accessible in a friendly and appealing online format. Available in English, French and Greek, RichCasino.com performs on Topgame software quality, which implies an excellent gaming experience, from impeccable graphics to 100% data safety. 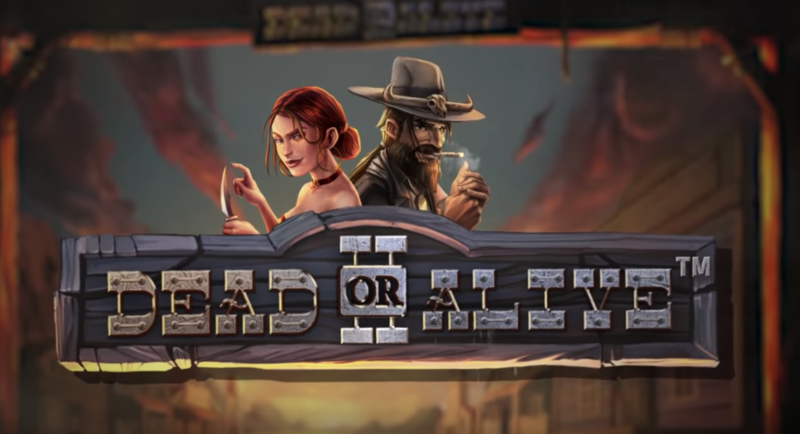 You will be glad to know that our games are operable on both Windows and Mac platforms, and, to top that off, all players have access to InstantPlay version, which makes your gaming all the more handy and comfortable! Read more » Rich Casino: $35 NDB + 400% up to $4,000! CasinoExtra: Get 30 Freespins on At The Copa for free! Posted on Friday, March 21, 2014 by "M". It's a true pleasure to announce that our latest casino partner - CasinoExtra - will offer all eligible members of BankrollMob 30 freespins on the fantastic slotmachine At The Copa for free. CasinoExtra is one of the most interesting new online casinos to hit the market. With a combination of four different games providers CasinoExtra has manage to create a games portfolio that suits all player types. Enjoy the best games creations from BetSoft Gaming, Microgaming, Net Entertainment and a live dealer casino provided by Visionary iGaming. Read more » CasinoExtra: Get 30 Freespins on At The Copa for free! 888 Tiger Casino: New NDB Partner! Posted on Wednesday, October 09, 2013 by "M". We are very happy to introduce our brand new casino partner - 888 Tiger Casino! They have decided to offer all our eligible members a sweet £/$/€ 28 No Deposit Bonus in their Rival powered casino! THIS CASINO IS NO LONGER OPERATING! Blink Marketing Inc is the owner and operater of 888 Tiger Casino. Their offices are located in Belize and offer their online gambling services under a license by supervised and regulated by the government of the Netherland Antilles (Curacao). 888 Tiger Casino is powered by the great Rival software wich offers a complete and excellent casino portofolio and also a 100% safe and secure gambling environment. This offer gives eligible (see banned countries/regions below) members of BankrollMob a £/$/€ 28 No Deposit Bonus. - The Free $/€/£ 28 is to be played in a designated non progressive slots. - Wager requirement is x60 times. Russian players x120. - All that needs to be done is sign in to the Casino and claim bonus. - 48 hours to start playing the bonus, expires after that. - Bonus expires 30 days after is credited if wagering requirements are not met. - Maximum cash out is $/€/£ 84. - Excluded: Sicbo, RedDog, PaiGow, Craps, Progressive slots, Punto Banco. This bonus is not available for players residing in: Denmark; Costa Rica; Latvia; Ukraine; Greece; Canada; USA, Romania, Israel, Albania, Algeria, Angola, France, Indonesia, Montenegro, Serbia, Thailand, United Arab Emirates, US Virgin Islands and Pakistan. Click here and claim your £/$/€ 28 No Deposit Bonus at 888 Tiger Casino! Posted on Wednesday, July 25, 2012 by "M". What type of casino athlete are you? Europa Casino has just launched a brand new flash slot to celebrate the Olympic fever of the London 2012 - Wild Games! Wild Games is one of the newest games developed by the great PlayTech. It's a brand new 5 reeler with 25 pay lines and some of the most entertaining bonus games in the industry! These includes animated characters competing in the Freestyle Swim Bonus, 100M Dash Bonus and the funny Balance Beam Bonus where rhino will do gymnastics on the balance beam! Wild Games will bring the excitment of the Olympic Games into your livingroom and better yet - you have the chance to win some serious cash! Get your exclusive €10 No Deposit at Europa Casino and play Wild Games!